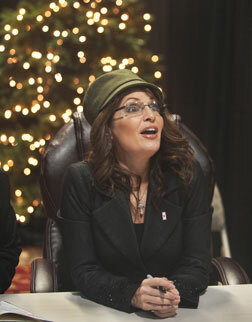 Sarah Palin will keynote the Bowling Proprietors' Association Of America's (BPAA) International Bowl Expo 2010 trade show at the Las Vegas Hilton in June 2010. Of all the things that have ever been said about famed Vice Presidential nominee and occasional Alaska Governor Sarah Palin, none have been as trenchant or as poignant as this: “Her presence underscores the impact and importance of bowling.” HER VERY PRESENCE DOES THESE THINGS. 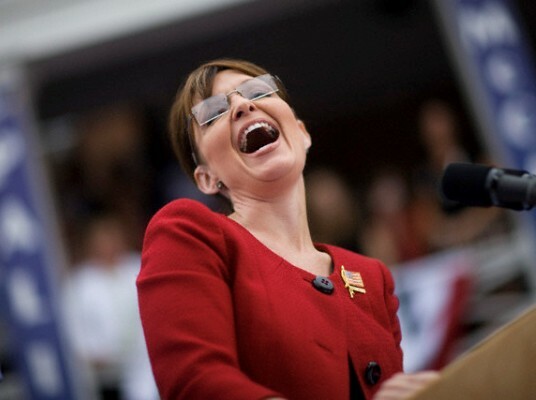 “Sarah Palin is a great friend to the bowling industry and we’re so proud and honored to welcome her as our keynote speaker at International Bowl Expo 2010,” said Steven Johnson, executive director of the BPAA. In her speech last week at a Wisconsin Right to Life fundraiser, Sarah Palin expressed fears over the re-positioning of "In God We Trust" to the edge of American coins, a move passed by Republicans in 2005 and signed into law by President Bush. Sarah Palin’s crusade for God and country “kicked up another notch” last week after she uncovered a government plot to marginalize God. Ms. Palin delivered a speech to a Wisconsin Right-to-Life group Friday night, at which she banned all media coverage including personal cameras, cell phones or other recording devices. The better to speak her mind? But lo and behold, a group of enterprising reporters including Jonathan Martin from Politico.com found a way in anyway, by forking over the $30 entrance fee and covering the speech the old-fashioned way — with pad and pen. There was a lot to write about. As they say, don’t let the facts get in the way. For the record: Barack Obama had nothing to do with it. The legislation which inspired the U.S. Mint to move the phrase was passed by the Republican Congress of 2005 and signed by President Bush. The law was rescinded by the Senate in 2007 in a bill backed by Republican Brownback of Kansas and Democrat Byrd of West Virginia. With a new book on the way, it’s not surprising that the former Alaska Governor is more visible of late. It would be more surprising if she truly believes she can “go rogue” – as in, say whatever she pleases to friendly audiences and, like a tree falling in the forest, hope no one else hears. Sarah Palin spoke on Friday night to attendees at a $30-a-ticket fundraiser for the Wisconsin Right to Life Education Fund. No cameras were allowed. 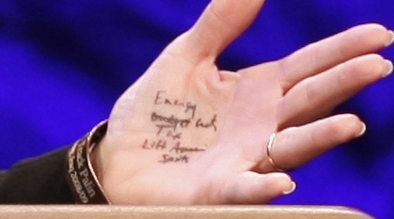 Palin had remarks prepared but frequently wandered off-script to make a point, offering audience members a casual “awesome” or “bogus” in discussing otherwise weighty topics. Other Palin touchstones included: praise for the military, jeers for the “the liberal media” and a general manner of speaking that often veered into rhetorical culs-de-sac. 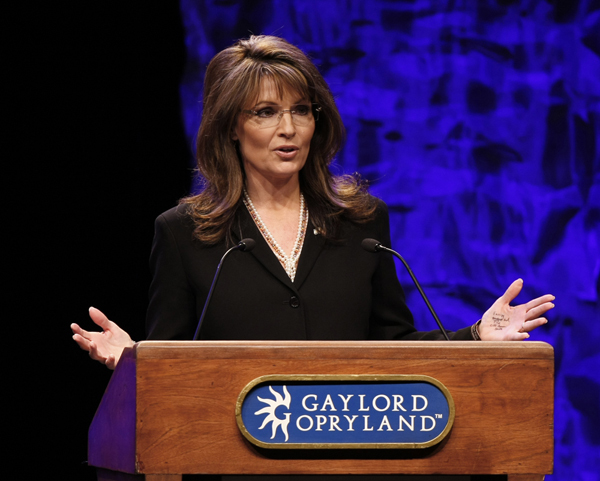 While she drew applause during her remarks, Palin’s extemporaneous and frequently discursive style was such that she never truly roused a true-believing crowd as passionate about the issue at hand as she. Not once during her address did they rise to their feet. Palin warned on her Facebook page last night that the “death panel” provision is in the health care bill that just passed House.